What did Yeshua (Jesus) mean when He said, "I am the Light of the World…?" Yeshua (Jesus) used the same phrase "I AM" in seven declarations about Himself… In all seven, He combines I AM with tremendous metaphors which express His saving relationship toward the world. All appear in the Book of John. They are: "I AM the Bread of Life" (John 6:35, 41, 48, 51); "I AM the Light of the World (John 8:12); "I AM the Door of the Sheep" (John 10:7, 9); "I AM the Good Shepherd" (John 10:11,14); "I AM the Resurrection and the Life" (John 11:25); "I AM the Way, the Truth and the Life" (John 14:6); and "I AM the True Vine" (John 15:1,5). 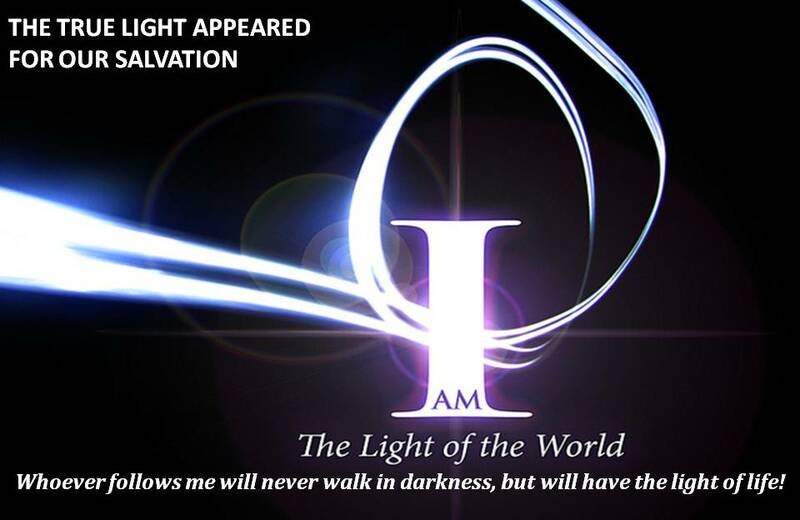 "I am the Light of the world" (John 8:12) is the second of seven "I AM" declarations of Yeshua (Jesus)… recorded only in John’s gospel, that point to His unique divine identity and purpose. In declaring Himself to be the "Light of the world, Yeshua (Jesus) was claiming that He is the exclusive source of spiritual light. No other source of spiritual truth is available to mankind. What was Yeshua (Jesus) response to the Pharisees’ question… Who do you think you are…?” He replied; “your father Abraham rejoiced at the thought of seeing My day; he saw it and was glad.” “You are not yet fifty years old,” the Jews said to him, “and you have seen Abraham?” ‘I tell you the truth,’ Yeshua (Jesus) answered, “Before Abraham was born, I am!” At this, they picked up stones to stone him, but Yeshua (Jesus) hid himself, slipping away from the temple grounds,” John 8:58-59. The violent response of the Jews to Yeshua’ (Jesus) “I AM” statement indicates they clearly understood what He was declaring… that He was the eternal God incarnate. 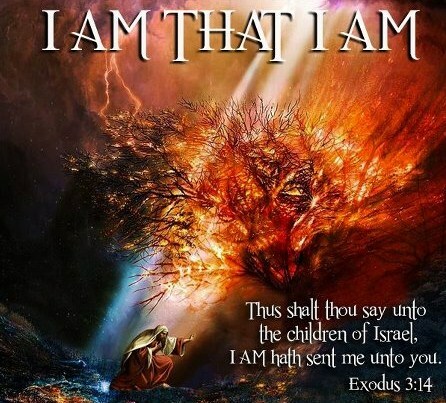 Jesus was equating Himself with the “I AM” title God gave Himself in Exodus 3:14. If Yeshua (Jesus) had merely wanted to say He existed before Abraham’s time, He would have said, “Before Abraham, I was.” The Greek words translated “was,” in the case of Abraham, and “am,” in the case of Yeshua (Jesus), are quite different. The words chosen by the Spirit make it clear that Abraham was “brought into being,” but Yeshua (Jesus) existed Eternally (John 1:1). There is no doubt that the Jews understood what He was saying because they took up stones to kill Him for making Himself equal with God (John 5:18). Such a statement, if not true, was blasphemy and the punishment prescribed by the Mosaic Law was death (Leviticus 24:11-14). But Jesus committed no blasphemy; He was and is God, the second person of the Godhead, equal to the Father in every way. What are “the light” of the world, “the darkness” that is out there, and the light of life…? In John 8:12, Yeshua (Jesus) is confirming to those who already know, while at the same time revealing to those who do not yet know, that He is the Light of the world. He is the Hope, He is the Way. He is our Light, our everlasting Light. It is Yeshua (Jesus) whom each of us must look to in order to overcome the darkness that is in this world. The Scriptures tell us there are TWO roles the Messiah must fulfill: First, as the Passover Lamb of God… The 'Atonement' for sin whose blood shed on the Cross saves us from the utter darkness and torment of Hell. Second, as the Lion of Judah… As King of kings and Lord of lords ... to save Israel from the armies of the world which will someday soon come against her ... and then He will restore the Earth in peace and beauty. God, the Father of Creation - God, the Son in Flesh - God, the Spirit of Power. There’s only ONE God. Yahweh is God in three Persons... Yeshua the Messiah describes Himself many times in Scripture as the “Light.” And, the Light of God is also mentioned at length in the Old Testament. God’s first creative act was the creation of light… It is also possible that the earth was already present when God created light, because Genesis 1:1-2 describe the creation of the earth first. We don't know. In either case, the creation of light was very significant! No wonder that James 1:17 describes God as the “Father of lights.” As the first chapter in the Bible refers to “light”… so does the last! Revelation 22:1-5, which says that the only “light” necessary in heaven is God, Himself! Therefore; 1) God’s Light is His Glory – Revelation 20:11. God’s Light is His Wisdom - 2 Corinthians 4:6. God’s Light is Life – John 1:4. In God there is NO darkness – 1 John 1:5 and that means His Glory is absolute. There are no shadows! He is pure bright Light that shines like the sun on all sides of the world… and NO part of Him would be dark! His wisdom is complete as well. There is nothing He doesn’t know. If it can be known… it is known by God. This includes how many grains of sand are in the entire universe, how many atoms are in our bodies and how many different galaxies and stars exist. There are two types of “light” in the world… We can perceive one, or both, or neither! When we are born into this world, we perceive physical light and by it we learn of our Creator’s handiwork in the things we see. However, although that light is good, there is another Light, a Light so important that the Son of God had to come in order to both declare and impart it to men. John 8:12 records, “When Jesus spoke again to the people, He said, ‘I AM the Light of the World. Whoever follows me will never walk in darkness but have the light of life.’” The allegory used by the Lord in this verse speaks of the light of His Truth, the light of His Word, the light of eternal Life. Those who perceive the “true Light” will never walk in spiritual darkness! We take a candle into a room to dispel the darkness. Likewise, the Light of Yeshua (Jesus Christ) has to be taken into the darkness of sin that engulfs the hearts and lives of those who are not following Him. That’s the condition behind having this Light – that we follow Him. 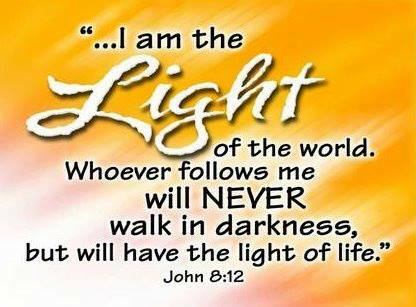 If we do not follow Him, we will not have this Light this Truth, this Eternal Life. To “walk” is, in short, to live one’s life…! Our lifestyle or way of life can be considered a “walk.” The word also indicates progress. Walking is related to growth; it is taking steps toward maturity. If, “Light” in the Bible is a metaphor for life, happiness, righteousness, goodness and understanding, then, darkness signifies evil and sin. The Bible is clear that light comes from the Lord God, the “Father of the heavenly lights,” James 1:17. He is the opposite of evil. Putting it all together… “Walking in the light” means… “growing in holiness and maturing in the faith as we follow Him. The apostle John repeatedly used the “light” metaphor in relation to the Messiah. For example, he writes that Jesus is “the true light that gives light to every man,” John 1:9. He says in 1 John 1:7, “If we walk in the light as He (God) is in the light, we have fellowship with one another, and the blood of Jesus Christ His Son cleanses us from all sin.” John says in 1 John 1:5 that God’s very nature is light. 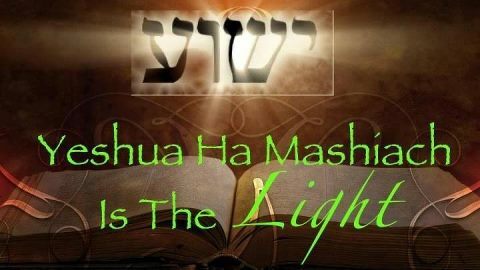 Yeshua (Jesus) is the conduit or provider of light to the world. Physical light is necessary for physical life. The Earth would certainly change very rapidly if there was no longer any sunlight… A forest full of trees with very thick canopies of foliage high above has very little plant life on the ground except for moss, which needs very little sunlight. Plants will never move away from the light, they are said to be positively phototropic, drawn to the light. In the same way, “spiritual light” is necessary for “spiritual life,” and this can be a good test of our standing in Christ. The believer will always tend towards spiritual things; and towards fellowship, prayer, the Word of God, and so on. Instead, God’s light is something more than these things. It is Spirit. We carry the One who searches the deep things of God (1 Corinthians 2:9–10). We carry the One who comes and breathes life into us when we choose to accept His salvation. That presence is the very presence of God, and that presence is light! We do not carry our own light… We carry God’s light, and as His presence grows within us, we begin to radiate His light… This is not a difficult process on our part, nor is it something that requires a precise combination of intellect, emotional reaction or willpower. Instead, it is simple, and as we live righteously before Him, the light we carry impacts everything around us. God’s light within us affects our neighbours, co-workers and others we come in contact with, but its impact is not limited to people alone. Acts 17:26 says; that God determines where we will be born and when we will live... This means that we are where we are for a reason! He takes such interest in the “small things” in part because He has a plan to influence our communities, and not just our communities but our countries as well. The unbeliever always does the opposite (John 1:5, 3:19-20)… because light exposes his evil. And, he hates the light. Indeed, no man can come into the “true spiritual light” of Yeshua (Jesus), unless He is empowered (John 6:37). If God’s light is “Life,” then we know that there is NO death in God. He is eternal. This also infers that sickness is darkness and health is life, considering the fact that “light” cannot die so there is no death in Him. If there is NO darkness in Yeshua (Jesus) our Messiah, we know that there cannot be hate, unkindness, unhappiness, evil and unfaithfulness. Light is also warm, fire casts light and warmth, and so does the sunlight... But, Yeshua (Jesus) called Himself “The Light” not the “warmth” because “warmth changes how we feel and “Light” changes how we see! What does it mean that God is light…? Light is a common metaphor in the Bible. Proverbs 4:18 symbolizes righteousness as the “morning sun.” Philippians 2:15 likens God’s children who are “blameless and pure” to shining stars in the sky. Yeshua (Jesus) the Messiah used light as a picture of good works: “Let your light shine before others, that they may see your good deeds,” Matthew 5:16 and Psalm 76:4 says of God, “You are radiant with light.” If light is a metaphor for righteousness and goodness, then darkness signify evil and sin. We are told in 1 John 1:5 that “if we claim to have fellowship with him yet walk in the darkness, we lie and do not live by the truth.” Verse 5 says, “God is light; in him there is no darkness at all.” Note that we are NOT told that God is a light but that He is light. Light is part of His essence, as is love (1 John 4:8).The message is that God is completely, unreservedly, absolutely holy, with no admixture of sin, no taint of iniquity, and no hint of injustice! If we do not know light, we do not know God... Those who know God, who walk with Him, are of the light and walk in the light. They are made partakers of God’s divine nature; “having escaped the corruption in the world caused by evil desires,” 2 Peter 1:4. 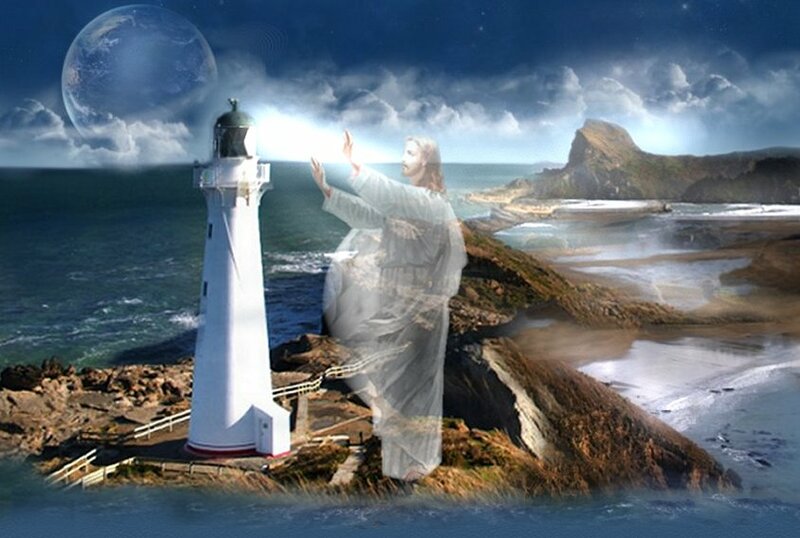 Yeshua (Jesus) said; “I am the Light of the world. Whoever follows me will never walk in darkness, but will have the light of life,” John 8:12. To “walk” means to make progress. Therefore, we can infer from this Scripture that we believers are meant to grow in holiness and to mature in faith (2 Peter 3:18) as they follow Him. It is God’s plan that believers become more like Christ every day. “You are all children of the light and children of the day. We do not belong to the night or to the darkness,” 1 Thessalonians 5:5. He is the Creator of physical light, as well as the Giver of spiritual light, by which we can see the truth. Light exposes that which is hidden in darkness; it shows things as they really are! To walk in the light means to know God understand the truth, and live in righteousness... Followers of the Messiah Yeshua (Jesus) must confess any darkness within themselves; their sins and transgressions, and then allow God to “shine His Light through them.” We as believers cannot sit idly by and watch others continue in darkness, knowing that those in the darkness of sin are destined for eternal separation from God. The Light of the World desires to banish the darkness and bestow His wisdom everywhere (Isaiah 9:2; Habakkuk 2:14; John 1:9). In taking the “light of the Gospel” to the world, we must by necessity reveal things about people that they would rather leave hidden. “Light” is very uncomfortable to those who are accustomed to the dark (John 3:20). Yeshua (Jesus), the sinless Son of God, is the “True Light” (John 1:9). As adopted sons of God, we are to reflect His light into a world darkened by sin. Our goal must be witnessing to the unsaved and… “to open their eyes and turn them from darkness to light and from the power of Satan to God,” Acts 26:18. The Earth is important to God’s heart… We see this many times in Scripture. One passage in particular is Mark 16:15, where Yeshua told us to preach the “good news” to “ALL” of creation. It is interesting that He didn’t say to preach to humanity alone. Surely, He made this distinction because as we believers proclaim the Gospel, the Earth is relieved of the weight of sin, the burden of darkness is dissipated… and His light realigns the land with His purposes, His provision and His justice. His Light orders what has been disordered. It heals, and it nourishes. As bearers of His Light, we play a significant role in revealing His nature to the Earth. Sometimes, this is no more difficult than simply being where He has placed us. God’s light and the enemy…? Everywhere we set our feet, we are bringing the light of God to that place, and the enemy has to formulate a response to our presence. When we move to a city, country, state, area or province, the enemy cannot continue on his normal course. He must react to our presence, and he must also react to the way the Earth responds to our presence. As it was created to do, the land recognizes the light of God within us, and it responds to that light. Creation longs for God and His presence and whatever would reveal a true statement of His nature... Again, our impact on creation is not brought about because of the prestigious level of our intellect, our emotions or our willpower. The impact occurs because we are, simply, children of God. His Spirit came into us and made us alive. His Light drove the darkness from us, and everywhere we go, we are revelations of His freedom. We don’t have to struggle and strive or try to achieve some heightened level of “power” to impact our environment… we are doing it now, simply because we belong to Him. The light of God we carry is a very powerful thing, and its effect on us and the world around us is consistently more than we expect or imagine. “For you were once darkness, but now you are light in the Lord. Walk as children of light.” (Ephesians 5:8) When we walk in the light, we cannot walk in darkness… Sin is left in the shadows as we let our light “shine before men!” “Walking in the light” means we consider Jesus as “the light” in this world, and we “walk” in that light by following His precepts, living in His power, and growing in His grace. 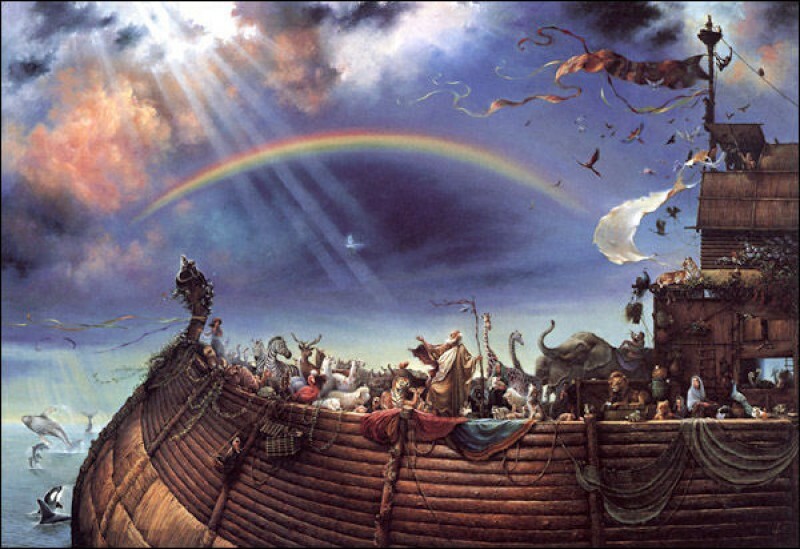 How interesting that God’s Covenant with Noah was His “bow in the sky”… (Genesis 9:12-17) After the flood, God promised NEVER to destroy the earth again by a flood, and He chose a “rainbow,” a phenomenon caused by light passing through water, to signify this. Of course, this is refracted sunlight, and not the Glory of God… But, the metaphor of “light” being broken into so many colours is fascinating. Why did God create light in so many colours…? There are two things in Ezekiel’s Vision (Ezekiel 1:26-28) that correspond with John’s Vision of the “THRONE OF GOD”… First that the form of the “One” who sat on the Throne could not be clearly distinguished or described, but that it was resplendent with “Light” which veiled the form or person …and secondly, that there was a “rainbow round about the Throne.” The person of God then, as He sits upon His Throne, is veiled in a “Glory” that can only be compared to the shining of some beautiful gem… but, one of the remarkable things about the Throne of. God is, that it is surrounded by a “RAINBOW” that is emerald in colour. The first mention we have in the Bible of a Rainbow is in Genesis 9:13-17. “I do set My BOW in the cloud, and it shall be for a token of a COVENANT between Me and the Earth.” A Covenant that God would not destroy this earth again by a Flood. But that Rainbow was only semi-circular, such as we see in the skies in summer after a shower …however the Rainbow Ezekiel and John saw around the Throne of God was CIRCULAR. In this world we only see half a Rainbow, or the half of things, in Heaven we shall see the whole of things. The Rainbow is the sign of a Covenant based on an accepted Sacrifice, the “Sacrifice of Noah” (Genesis 8:20-22) …and the Rainbow about the “Throne of God” is the sign of a Covenant based on the accepted “Sacrifice of Christ on the Cross.” The difference between Noah’s Rainbow and the one around the Throne of God is that Noah’s is composed of the seven primary colours; Red, Orange, Yellow, Green, Blue, Indigo, and Violet …while the one around the Throne of God is EMERALD. What does this “CIRCULAR GREEN RAINBOW” about the Throne of God signify…? It signifies that God is a Covenant keeping God, that His promises as to this earth shall be fulfilled. Even though He is about to bring great judgments upon it, He will NOT destroy it, but it shall pass through those judgments safely. He will redeem it, and bless it, until its hills, and valleys, and plains, shall teem with the green verdure, fruitful orchards, and bountiful vineyards of the long Millennial Day that is to follow those judgments. If the Rainbow did not encircle the Throne as a “Halo,” it might by its reflection in the “Sea of Glass” appearing to Apostle John to be round. The Messiah the Light of the World was born at night and very fitting that He should arrive in this world in the “darkness” (Luke 2:6-11). When He was crucified in the middle of the day, “darkness” fell at His death (Matthew 27:45). It wasn’t until Yeshua that we learned the “Light” was a person! (John 8:12) Not only was He Wisdom, but also life. The resurrected Christ was first encountered in the “light” of Passover morning (Matthew 28:1). It’s not merely daylight Yeshua was first seen as… but the first “light of dawn.” It was indeed a “new day.” Christ had become the firstborn of the resurrected dead (Colossians 1:18). God’s loving kindnesses are new every morning (Lamentations 3:22-23). Imagine the new loving kindness on “That Day!” Death had been conquered! The “Light of Life” had overcome the “darkness of the grave.” Interesting how “joy comes in the morning” (Psalm 30:5)…or how “help comes in the morning” (Psalm 46:5). 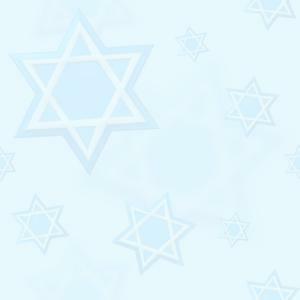 Yeshua (Jesus) is also known as the “Morning Star” (Revelation 22:16). The Messiah, who is a Divine person, has come once to be despised and rejected in fulfilment of Isaiah 53. He is coming again soon in power and glory (Daniel 7.13-14) to fulfil the prophecies of the Reigning King Messiah (Isaiah 2.1-4, Zechariah 14). Isaiah also prophesied his humanity and his divinity: “For unto us a child is born, unto us a son is given; and the government shall be upon his shoulder. And his name will be called Wonderful Counsellor, Mighty God, Everlasting Father, Prince of Peace,” Isaiah 9.6 Yeshua, Jesus, is the Messiah of Israel and the Light of the world is the only one who can bring peace to His people… and to the world!